King Penguins at Volunteer Point – one of the best places in the world to see King Penguins. It’s a 2 hour one way 4×4 trip with some challenging peat bog crossings along the way. 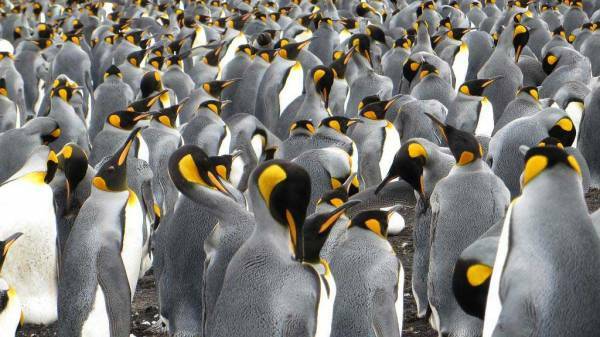 There are large numbers of Gentoo and Magellanic penguins there too. 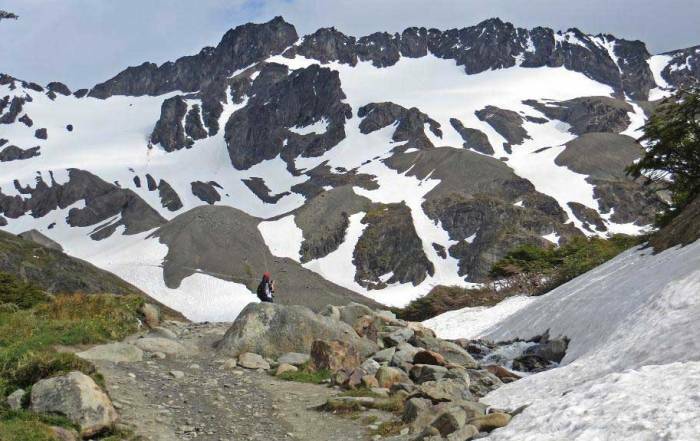 Read our blog about our Volunteer Point Shore Excursion. Bluff Cove Lagoon – a poplar tourist destination for penguin viewing 25 minutes from Stanley by 4×4. 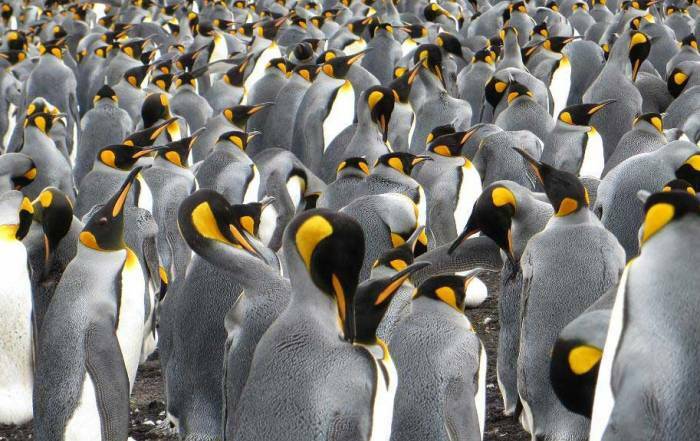 The main penguin population at Bluff cove is about 3,000 Gentoos, but there are a few Magellanic and Kings too. The penguins are located on private land belonging to Bluff Cove Farm. 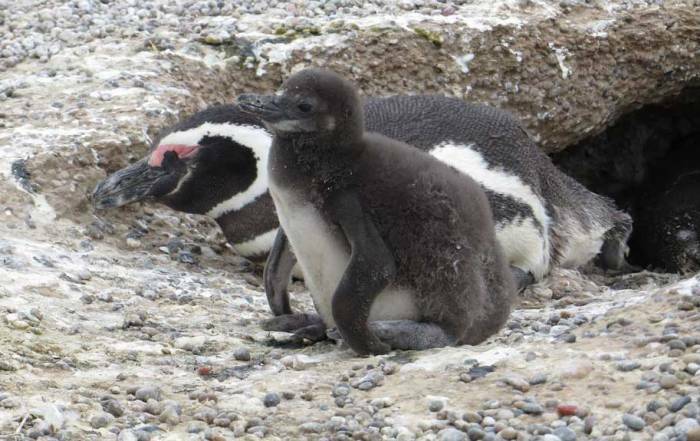 Gypsy Cove – 300 pairs of Magellanic penguins on Yorke Bay, 4 miles northeast of the pier. Rockhopper Penguin Colony at Murrell Farm – access these unique penguins by a combination of 4×4 and minibus. Christ Church Cathedral – built in 1892 and the southernmost Anglican Church in the world. 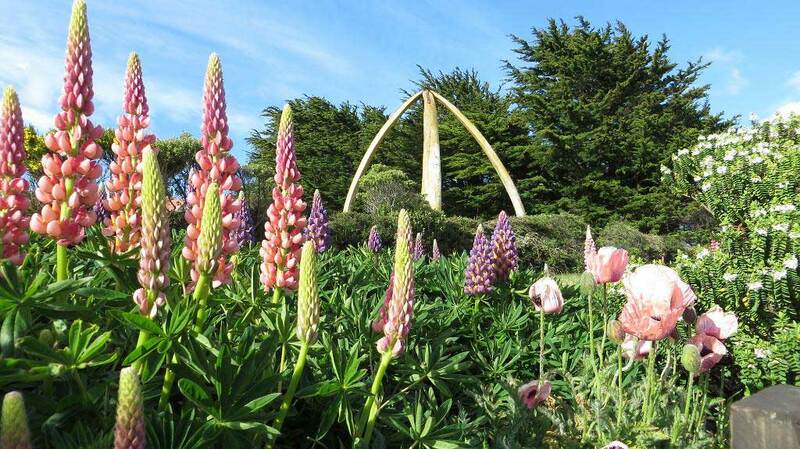 In the gardens a statue of two whale jawbones commemorate the 1933centennial of British rule. Victory Green – on the waterfront of Stanley is a park which displays the mizzenmast of the SS Great Britain. This ship was the first iron vessel with a screw propeller. Falklands Islands Museum & National Trust – most of the museum’s collection is on display at the Historic Dockyard Museum on Ross Road. 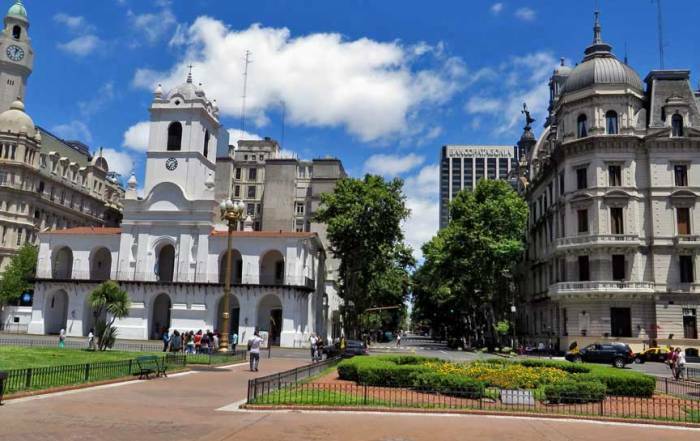 1982 Liberation Memorial – commemorates the defeat of Argentina in the 1982 war. Government House – the governor is appointed by the UK and lives on the Ross Road waterfront not far from the pier. World War I Memorial – commemorates the defeat of the Germans in 1914. It’s located .5 miles west of the pier on the Ross Road waterfront. Cartmell Cottage – built in 1849 and part of the Falkland Islands Museum. It’s located at 7 Pioneer Row south of the pier. Cross of the Sacrifice – the cross at Stanley Cemetery commemorates World War I & II veterans. 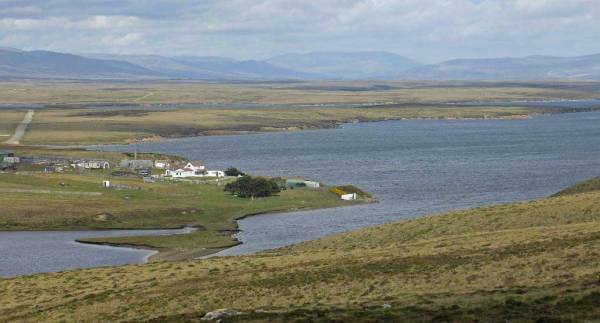 Cape Pembroke Lighthouse – get the key from the Falklands Museum and head to the lighthouse 8 miles east of the pier. Smoko – afternoon tea with cakes and biscuits. Local brown trout, Atlantic rock and sea trout. Diddle Dee Berry – jam. Cheese and pickled onion spread. Most visitors arrive in the Falklands by cruise ship during the summer season (January). The anchoring location for ships is quite far from the pier. The weather can be bad even in summer, so there is about a 40% chance that cruise ship tenders can’t operate for shore excursions. There are also rare cases where cruise ship tenders could not get back to the ship the same day, so visitors were forced to overnight on the island. 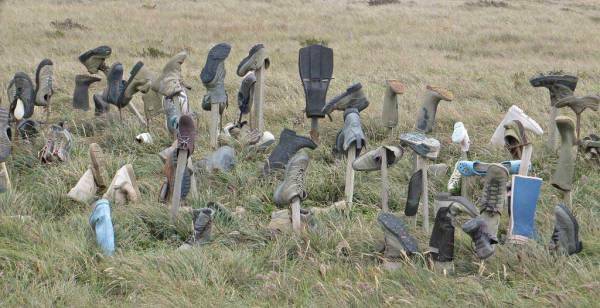 As recently as 2013, marine workers delayed cruise ships from departing to the Falklands from Argentina as a form of political protest. 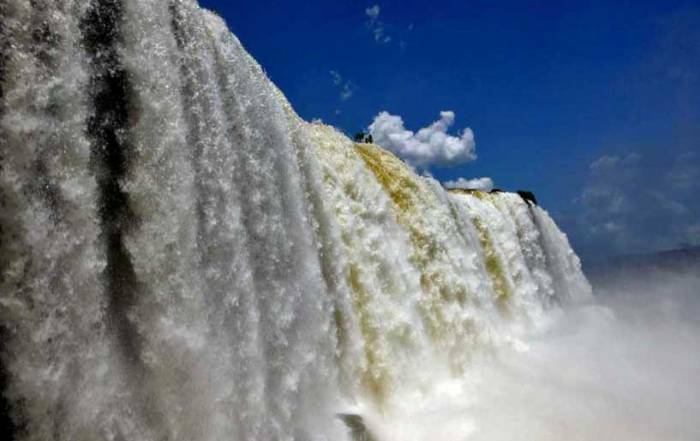 Access by air is limited both by the isolation of being 300 miles off the mainland of South America and by the strained relationship with Argentina. The Mount Pleasant Airport (MPN) is used by LAN Airlines, which offers weekly flights to Santiago via Punta Arenas, Chile. There are monthly flights to Rio Gallegos in Argentina. The British military has a base at Mount Pleasant with regular connections to the UK via Ascension Island. The military flights allow some non military personnel on board. 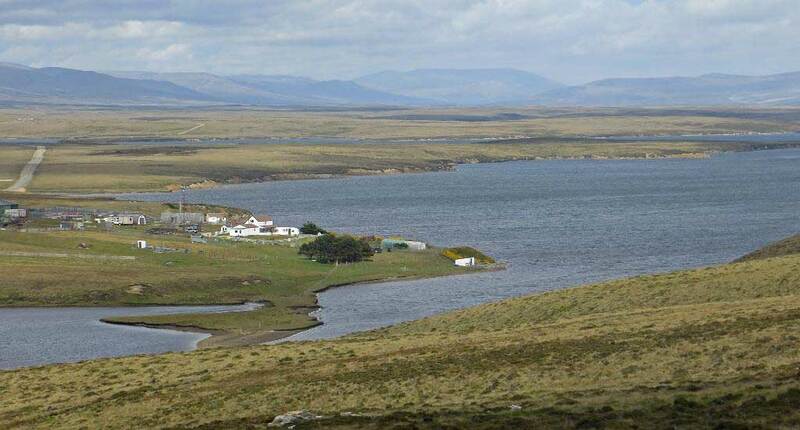 The Falkland Islands are a British Overseas Territory inhabited by about 3,000 British people. The land is barren and barely able to support sheep grazing. The economic base is founded on fishing and the British military. There is also significant support from the production of wool and from cruise ship visits. Once you leave the port town of Stanley, everything else is referred to as “Camp”, which is an appropriate reflection of its isolation. 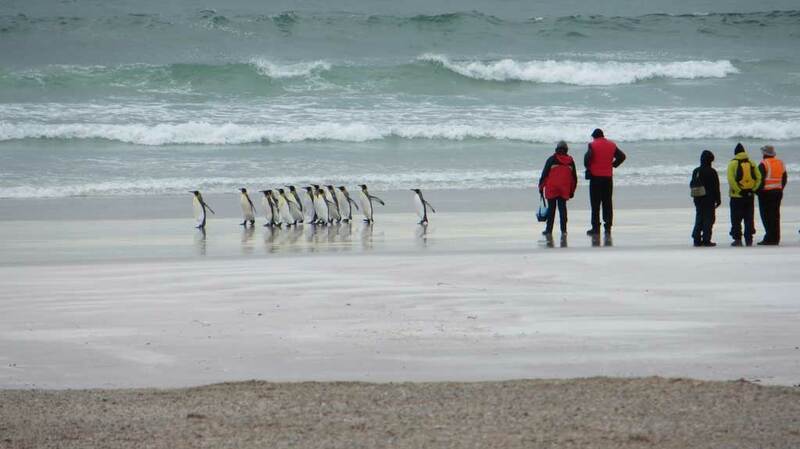 For more information on the Falklands, visit the Falkland Island Tourist Board web site. 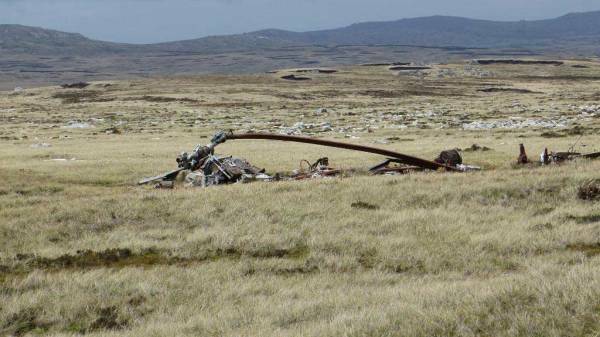 When you see desolate and empty the Falkland Islands are, you wonder why anyone wants to live there, let alone go to war over it. The history of the Falklands occupation by the French, British, Americans and Argentines is often disputed. In 1982 Argentina decided to take back Las Malvinas (the Falklands) and a war with Britain was the result. Many lives were lost on both sides through sunken naval vessels, air battles and infantry skirmishes. The Argentine navy did poorly, but their air force almost defeated the British by nearly exhausting their munitions. Today the Falklands are protected by the HMS Dauntless, a ship that cost Britain more than a billion dollars. 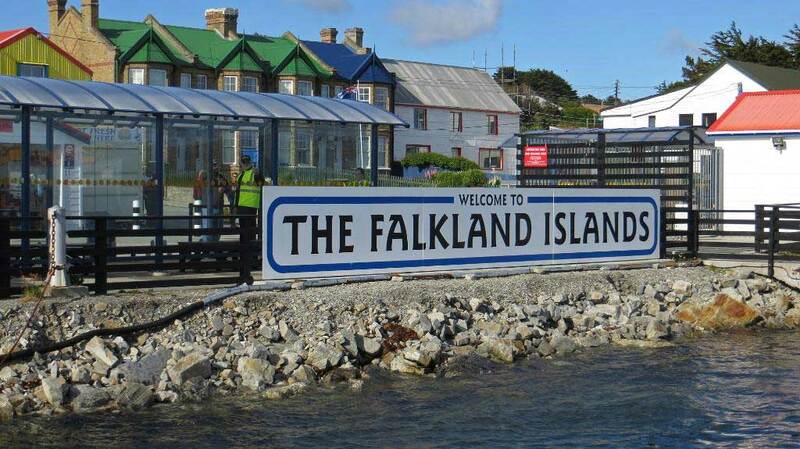 Many British citizens in the UK feel this is not a justified investment, but more than 99% of the population on the Falkland Islands want to remain British.